An Apollo class asteroid is expected to whizz between the Earth and the moon on March 5. The 98-foot-wide space rock is expected to come within 218,000 miles of earth (0.9 lunar distances), creating quite a sight for stargazers. The asteroid, named 2014 DX110, is expected to make its closest approach at 21:07 GMT on Wednesday at a blistering speed of 14.85 km/s (32,076 mph). 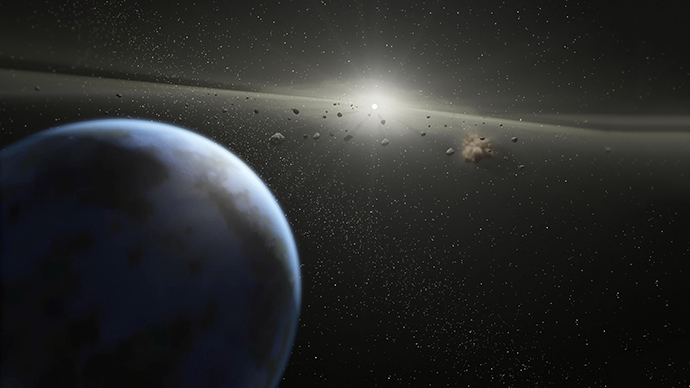 Although the space rock poses no threat to earth, it highlights its susceptibility to near-Earth asteroids. 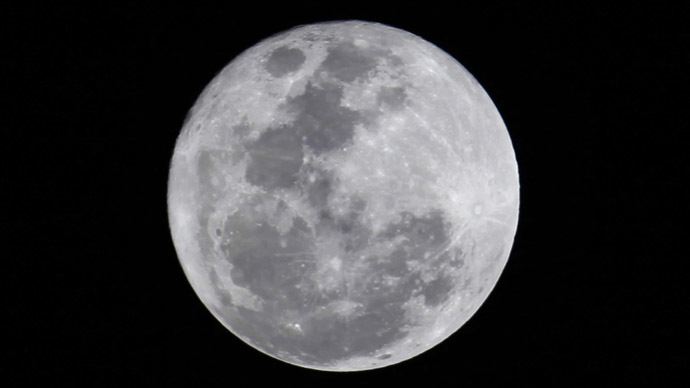 For amateur astronomers interested in watching the fly-by as it happens, the virtual telescope project will offer live coverage via Slooh, which allows viewers to peer through a telescope via the web. DX110 belongs to the Apollo class of asteroids, a group of Earth-crossing asteroids, which pose a potential threat to humankind. 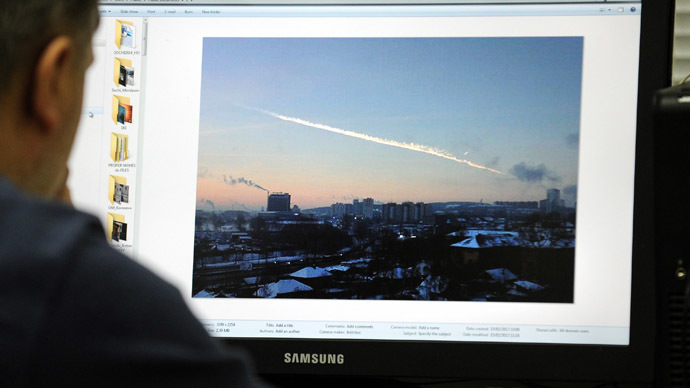 The February 15, 2013, 65-foot-wide meteor, which exploded over the town of Chelyabinsk in the southern Urals Region of Russia, belonged to the Apollo class. The meteor explosion was 30 times stronger than the Hiroshima atomic bomb. As windowpanes shattered throughout the city, 1,500 people were injured, but luckily no one was killed. 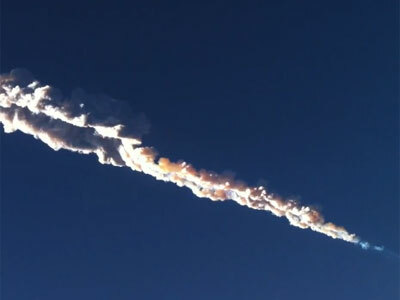 Nearly one year after the Chelyabinsk atmospheric extravaganza, another massive asteroid sailed past the Earth. The space-rock known officially as 2000 EM26 had an estimated diameter of 885 feet, roughly the equivalent of three football fields. It however, only came within some 2,094,400 miles of Earth. Based on the orbits of such space rocks, many of them are likely originate in "the asteroid belt between Mars and Jupiter. While DX110 will come nearly ten times closer to Earth than the exponentially larger EM26, another asteroid – 2012 DA14 – came within 17,200 miles of the Earth’s surface. 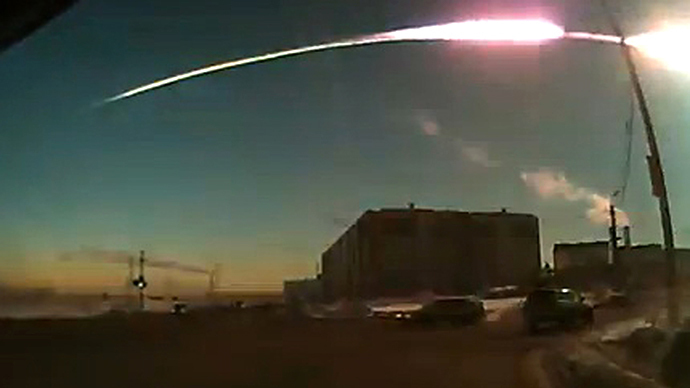 In an amazing cosmic coincidence, DA14 made its near-earth flyby on the exact same day the Chelyabinsk impacter hit. Scientists say if the 150ft-wide had hit Earth, it would have had enough destructive power to level a major metropolis the size of Moscow or London. Meanwhile, Researchers say that space rocks of a similar size to the one that exploded over Chelyabinsk are hurtling into the Earth's atmosphere with surprising frequency. 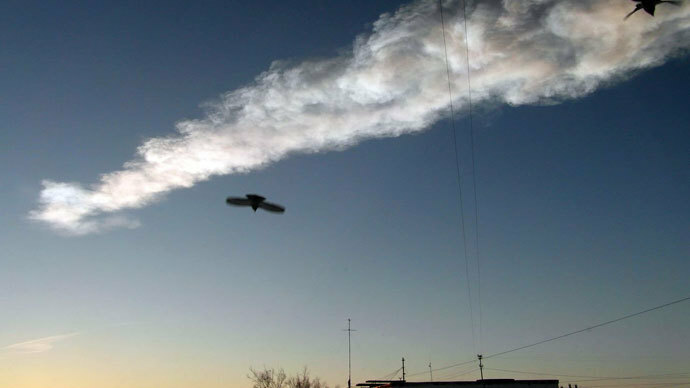 Last November, scientists writing for the journals Nature and Science reported that the likelihood of a space rock similar in size to the Chelyabinsk meteor was up to seven times more likely to strike the earth than previously believed, AP reported. 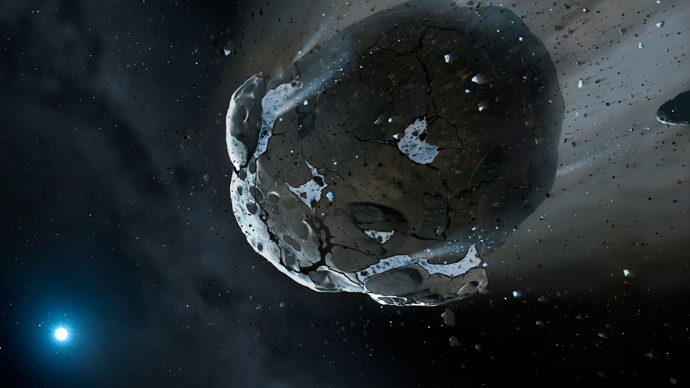 In total, that means about 20 million space rocks the size of the Chelyabinsk one may be speeding through our solar system, and not 3 million, said NASA scientist Paul Chodas. Previously, scientists believed that such airburst events as happened over the Urals only occur approximately once every 150 years. Now the frequency of such an event is estimated to be every 30 years. 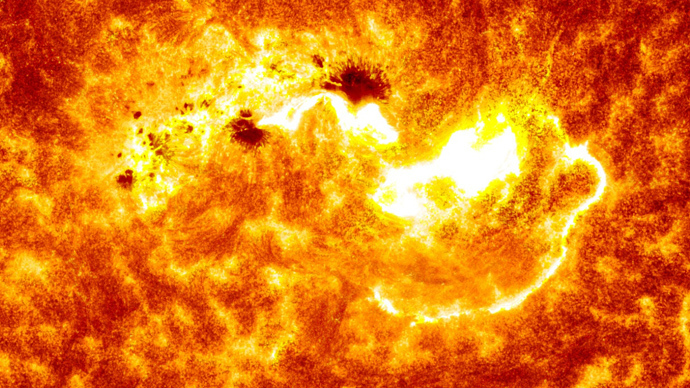 Scientists say early warning systems need to be put in place in order to safeguard against future events.